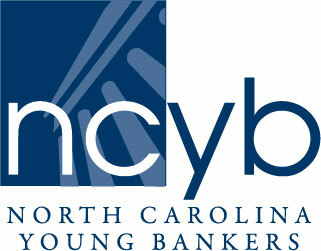 The North Carolina Young Bankers will once again be hosting the Bankers in Schools program this November! This is a week-long program that allows schools from across the state to invite bankers in their communities to visit classrooms and teach a 45-minute lesson on budgeting. Volunteers will be trained and guided using a thorough curriculum, and will come prepared to teach the unique and engaging activity, designed specifically for high-school aged students. According to the World Bank, just 57% of U.S. adults are financially literate. The NCYB are committed to changing that statistic, and it starts in our local schools. The formation of the NCYB was first announced by the North Carolina Bankers Association in late 2015 as a way for young bankers to become engaged in their communities as industry advocates. One of the primary missions of the organization is to promote financial literacy in North Carolina's youth to help the next generation make smart fiscal decisions. The NCYB is involved in a variety of efforts to raise awareness and spread this important knowledge, and the latest initiative will bring us one step closer to reaching that goal. “Financial literacy is a passion of mine and Bankers in Schools has provided me an outlet to share that passion with others. Financial literacy has yet to take-hold as a standard curriculum item and yet it is something that everyone, regardless of their station in life, will need to understand and embrace throughout their life. Bringing bankers and students together to discuss such an important topic is not only impactful in the present, but also for the future as it gives us, the bankers, the opportunity to start developing a relationship between our industry and future bankers, clients, and consumers of our products. Here in the Triangle, particularly Wake County, it has also given me a chance to give something back to the community that formed the basis of my educational and professional career. Go Stallions, Blue Jackets, Caps!" Bankers in North Carolina are invited to participate regardless of age, so consider signing up today! For questions, or to sign your school up for Bankers in Schools, please contact Brianna Reeder, Director of Professional Development at the North Carolina Bankers Association at (919) 781-7979 or brianna@ncbankers.org.